It’s our smallest recorder ever. But don’t let its size fool you. The H1 Handy Recorder has our renowned recording technology and studio-quality microphones in our easiest, most portable device ever. Now Zoom recording technology is available to everyone. And with an infinite variety of applications, you’ll want to take your H1 everywhere. From musical performances, songwriting sessions and rehearsals to seminars, conferences, journalism or capturing audio for video, the H1 gives you clean, clear stereo sound effortlessly. 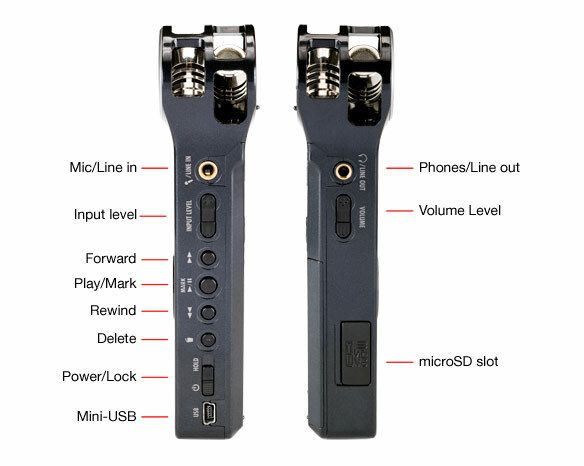 Like all Zoom recorders, the H1’s onboard microphones are configured in an X/Y pattern, for stunning stereo imaging. Because both mics are arranged on the same axis, they are equidistant from the sound source for perfect localization and no phase shifting. The result is great stereo recordings with natural depth and accurate imaging. 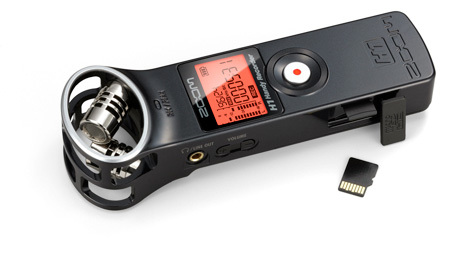 With its newly designed user interface, the H1 is also our easiest recorder to use. All its functions are at your fingertips, such as track marker, auto record, low cut filter, level and volume controls with on-board buttons… No menus required! Intuitive controls make it easy to capture the audio you need with ease. But we still provide the versatility you’ve come to expect from Zoom. So you get total recording format flexibility from 16-bit/44.1 kHz to 24-bit/96 kHz WAV, or MP3 from 48 kbps to 320 kbps and enough tools onboard to make impeccable recordings. MicroSD cards were specifically designed for the ever-evolving mobile technology market. Approximately the size of a fingernail, the microSD card is a significant advance in technology and its size and capacity are a major reason why the H1 is able to deliver so much recording technology in such a small package. 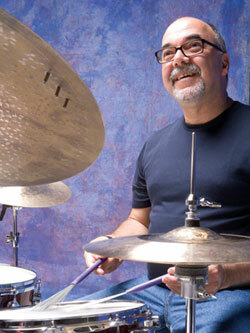 Musicians – Shorten the Learning Curve. With stereo recording so precise and so easy, musicians will love the H1. An indispensible part of any serious musician’s arsenal, the H1 makes recording rehearsals and practice sessions easier than ever. And the best part is, because your performance is captured with crystal clear audio, you can really critique your own playing, and get better…. 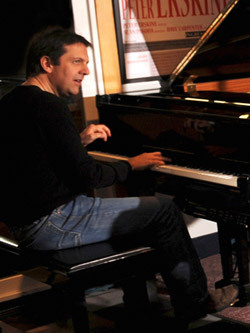 Songwriters – More Hit Wonders. Isn’t it time you heard your masterpieces in beautiful stereo that rivals a professional recording studio? We know you’re the creative type, not an engineer. That’s why we made the H1 so easy to setup and navigate. So you can keep the inspiration going. 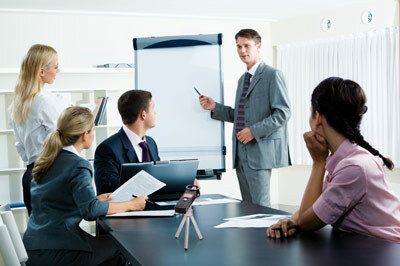 Your most creative ideas can now be recorded and shared with your co-writers anywhere and at anytime the music hits you. Just be sure you have your H1 on at all times! 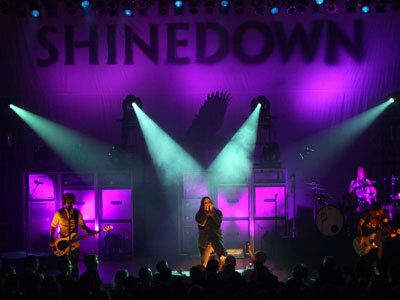 Bands – On the Road, On the Run. There are so many applications for your band and the H1. 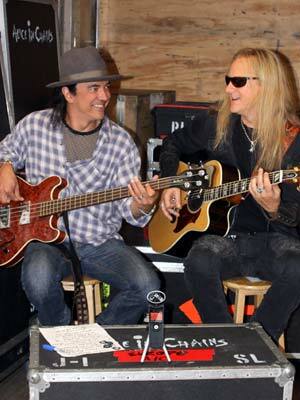 Start with learning new songs. If you’re the guy who teaches the songs, record each part on an H1 and email it to the members of your band. If you’re the one who books the band, you band needs to get heard. And everyone in the group needs to hear their performance to get better. The H1 makes capturing your performance easy, even when you’re cranking out high SPLs. Video and Film Professionals – Indie Shoots That Don’t Sound Indie. With DSLR cameras that shoot incredible HD video, the need for a better audio solution has emerged. 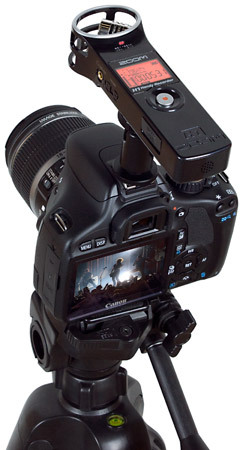 The H1 will easily shoe mount on top of a video or DSLR camera. And because it has a standard ¼-20 mount on the bottom, you can place the H1 anywhere on your rig. Use the stereo output jack to connect directly to the audio input on your camera, or bring the audio into your editing suite using the USB connection. The H1 is the perfect entry point for those getting started with dual source shooting. These days, a journalist needs be able to capture broadcast ready interviews whenever or wherever they occur. Imagine being able to spontaneously capture the kind of audio your producer needs and send it remotely via email. That’s what the H1 provides. It’s literally a recording studio in your pocket! And the files are Broadcast Wave Format (BWF) so your producer has time and date stamping as well as any markers you set for total editing ease. Whether it’s a sales meeting, training conference or a seminar, the ability to capture and distribute the content is a big part of the ROI when you do events. 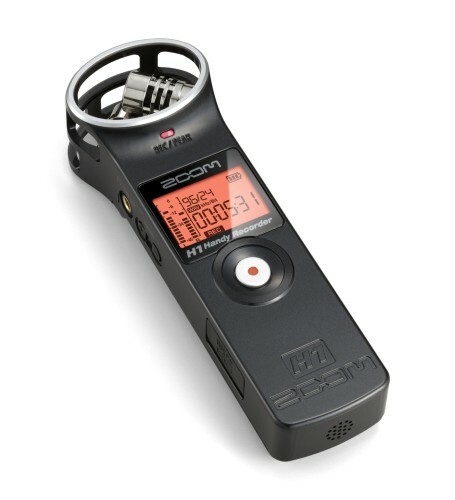 Use the H1 to record your content for your company website or distribute it by email to your peers. Edit and turn it into a podcast. The possibilities are endless. Whatever the use, the H1 is perfect for legal, business and medical field use. Everything you need to get started recording is included. Your H1 comes with an AA battery for 10 hours of operation and a 2 GB microSD card. In addition, an H1 accessory package (APH-1) is also available with an array of accessories that make your recordings even more pristine and easier to capture. 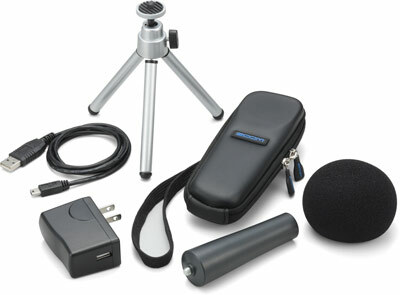 The accessory kit includes a windscreen, AC adapter (USB type), USB cable, adjustable tripod stand, padded-shell case and a mic clip adapter. Combining powerful recording capability with elegance and simplicity, the H1 Handy Recorder is our smallest, most affordable recorder ever. 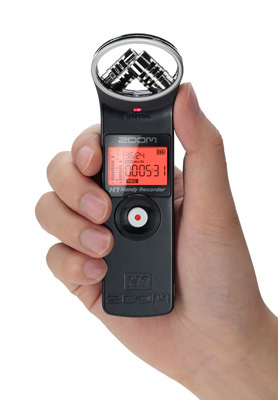 Click here to watch the Zoom H1 Basic Product Overview Video! 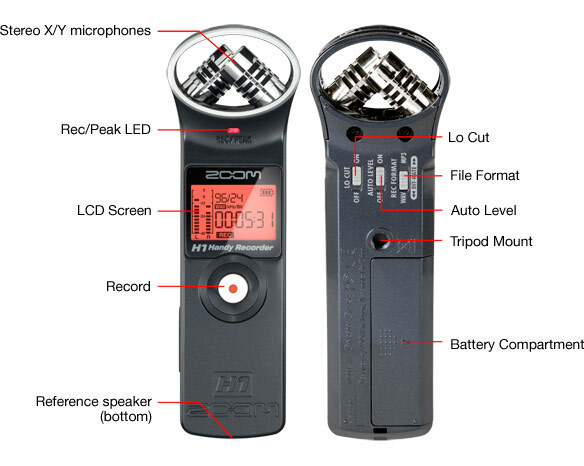 The H1 Handy Recorder puts all its functions at your fingertips. No menus! Its backlit display features recording levels, file format, time elapsed, remaining battery life and recording time. Its intuitive transport puts all the controls on the side with no menus on the screen. A large record button gives you complete control. Playback and pause, marker, forward and rewind buttons are all accessible by your thumb. Volume for playback and monitoring can be adjusted using your index finger. On the back, you’ll find a single AA battery compartment, a tripod mount, low cut filter, auto level setting and recording format selectable switches. There’s also convenient mount for a strap or lanyard clip. All the transport controls are on right side of the H1 and you can adjust recording levels on the fly. A 1/8" stereo line input is located on this side and its USB port is also accessible here as is its power on and hold switch. On the left side, you can replace your microSD card by folding down the rubberized door. There’s also a 1/8" stereo line/headphone output with adjustable volume control for monitoring playback. The built-in reference speaker is on the bottom of the unit.